When we receive the goods, we will put one single stone into a paper parcel bag (our production paper parcel bag) ， then we will input the basic info of the stone such as the received weight, what kind of make needed, our solstar production paper parcel number and so on into the computer under the charge of our Solstar Production Management System. 1, Loaded Window. 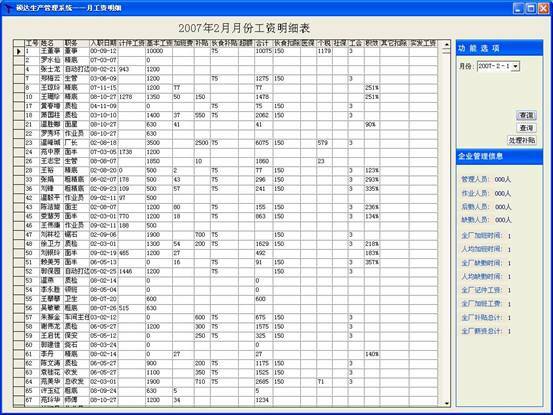 Every related people has a landing account, and more than 30 people can use the production management system at the same time. 2, Mail Registration Form, there is a record about when the stone is sent out for working or when the stone come back for checking, and also the screen will display the stone's production paper parcel bag number, the worker's number, the stones weight at a certain time, and the stone is for what kind of make. 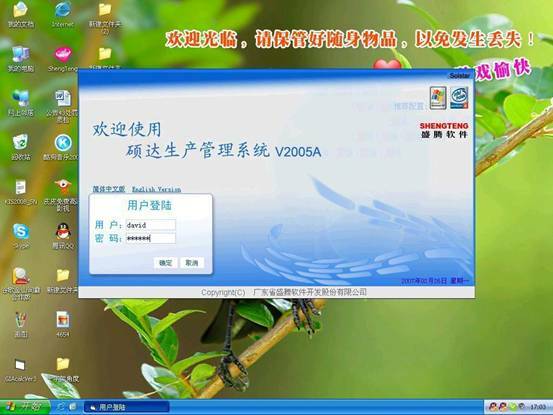 3,The info of every production step will be instored into the computer as records, which will be available for us to check the production information on it any time. 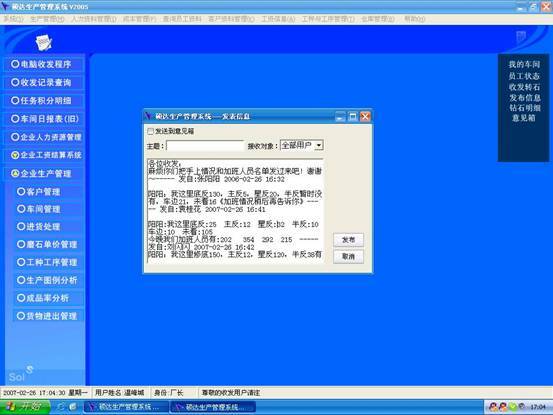 For example, if you input one of our paper parcel bag number: C499-003, the screen will show all the production information of it. 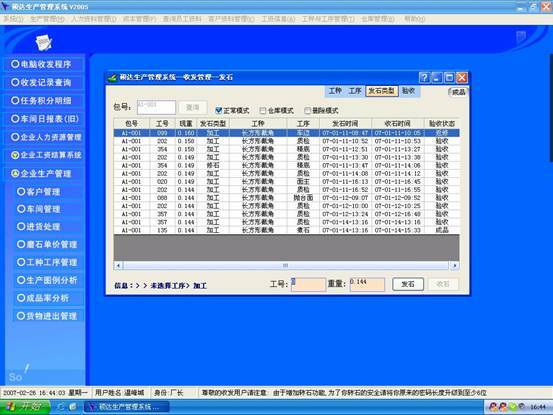 4, Transceiver Management: which is very convenient for us to communicate with each other among the different departments during the production by sending messages. 5, Task Integral Form: From the shown data, we can calculate the workload of the day. 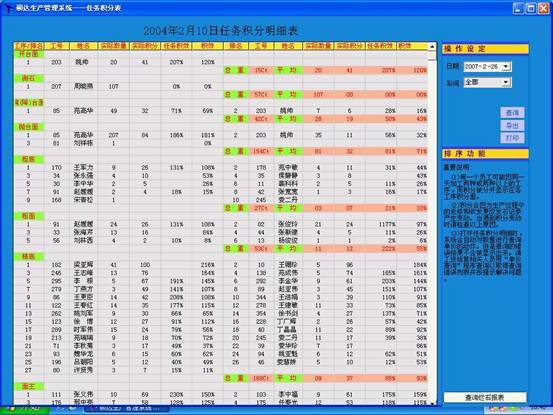 6, Production Analysis Table: From this table, we can learn how much has been finished about every step. 7, Monthly Wage Details: From the shown data, we can calculate the workload of a month. 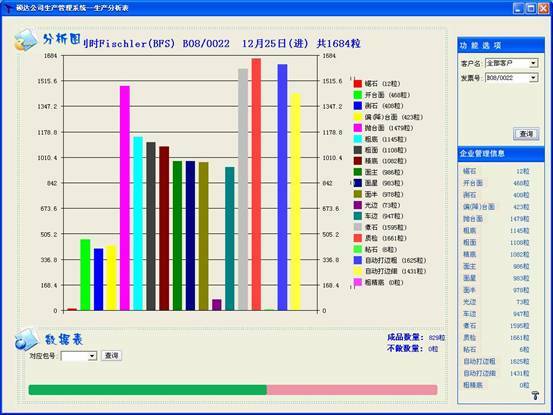 Now our production management system has been improving, we will try our best to give the BEST to our respected customers. If you have any question, please feel free to contact us.